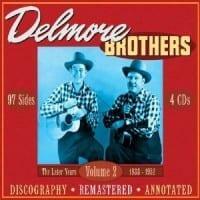 This third addition in JSP's final word on the Delmore Brothers might be the most wide-ranging in the series. While the first two volumes concentrated mostly on their 1930s recordings, this four disc edition covers much from the '40s and '50s as well. 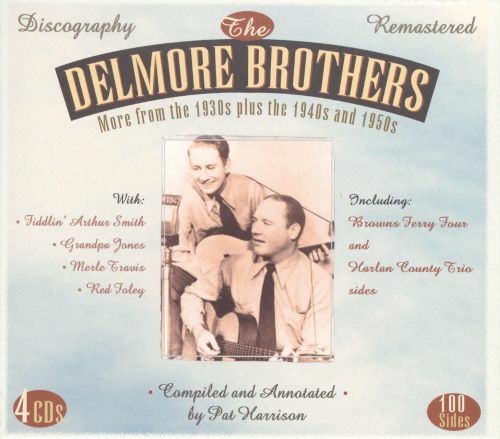 From early hillbilly boogie to group-harmonized country gospel, each disc focuses on a different stage of the Alabama twosome's expansive career. Disc A covers sessions for both the Bluebird and King labels and reveals a distinct evolution from their early mix of old-time and Piedmont blues to their later signature boogie sound. 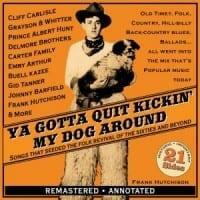 Disc B collects sides from three sessions the brothers did backing up Fiddlin' Arthur Smith in the late '30s. 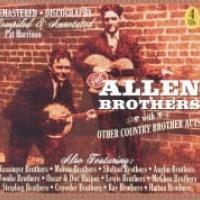 Disc C features tracks from the late '40s and early '50s when the brothers were members of two ensembles that played exclusively sacred music: the Harlan County Trio and the Brown's Ferry Four, an early country supergroup featuring Red Foley, Grandpa Jones, Merle Travis, and Wayne Raney. 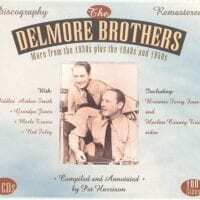 The Raney-fronted Delmores dominate Disc D, which compiles recordings from 1946 to 1951. 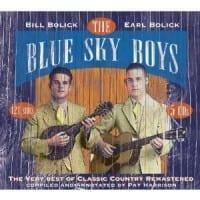 With barnstormers such as "Jack and Jill Boogie," it's easy to hear how rock & roll was just around the corner.